Using images in presentation slides is powerful, they add impact and help to make your message memorable, the major drawback is that it can take a lot of searching through different image websites and creative selection of search terms to find each perfect image. The solution is to build a library of images so that when you’re preparing a presentation you can save time by first checking your library before trawling through image websites. The best way to build your image library is in your spare time i.e. when you’re not under time pressure to prepare a presentation. 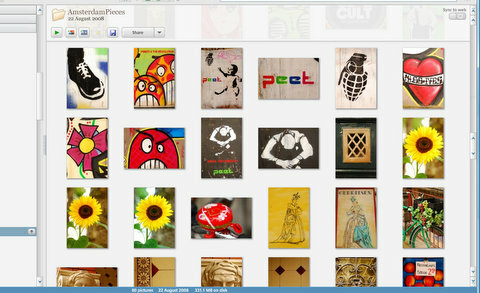 Browse through some of the photo sites that you usually use, try a few random search terms and see what photos appear. If there any photos that grab your attention or seem interesting then add them to your image library, as you never know when in the future that particular image will be the one that you need. If you download any photos under a Creative Commons license then save the photographer’s name as part of the image name i.e. “Photographer_imagename”. This is useful for two reasons, firstly so that you can add their name to your credits page but also if you like their style of photography you can look for other images by that photographer and add them to your gallery. Using images by the same photographer in your slide ensures a consistent look in your slides. Tagged images, keynote, photos, pimp my slide, powerpoint, preparation, presentation design, presentation tips, presentations, visuals. Bookmark the permalink.